Check back soon for 2020 dates. CLICK HERE and sign up TODAY to receive email updates for Boise Safety Fest! Safety Fest is an annual training event that offers free safety and health training to workers, supervisors, and managers of all levels. The next Boise Safety Fest will be held January 2020 and will include a vendor show. We offer roughly 60 classes including some old favorites and some new ones. For clarification parking is good for the whole day. For example if you leave for lunch and return to the garage the cameras recognize your license plate when you come back from lunch and then sees that it already has been checked in for the day. This year’s theme: The Art of Selling Safety featuring a panel of experts discussing how they sell safety to employees, clients, subcontractors, management, government, and the public. Keynote speaker, Tim Page-Bottorff, CSP, CET, and recent recipient of both the ASSP and NSC highest awards, will share techniques on how to inject Humor in Safety – from Blah Blah Blah to Ha Ha Aha! This is your chance to learn the latest proven techniques to sell safety in your business! Lunch with OSHA – January 22, noon to 1 p.m.
Bring your lunch and join us for an informal gathering to get to know the Director and some of the Boise team. Get an update on OSHA’s focus and hot topics. Bring your questions. We are offering a healthcare track on Thursday, January 24th geared towards both home and private healthcare providers and sponsored in part by St. Luke’s Health System. This is a 4-part track and you can choose to register for all 4 sessions or choose just the ones you find relevant. As always, we could not provide this event without the support and contributions from our founding partners, sponsors, vendors and volunteer instructors. Be sure to recognize these community advocates of safety for all the great support they provide year after year. We are excited to announce our new 2019 Location Sponsor, Boise State University! Parking: Parking will be available in designated areas for a discounted price of $2.25/space/day by utilizing the payment kiosks and the Event Button “Safety Fest” on the screen. Guests will enter their space # and supply payment to the machine, retaining the receipts for their records. 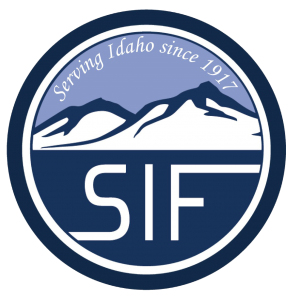 Smoke Free Campus: The Student Union is designated as non-smoking, therefore Boise Safety Fest attendees and guest shall abide by Boise State University Policy #9110: Smoke-Free Campus. Use of e-cigarettes, e-cigars, and e-pipes shall be permitted in outdoor spaces only. Prohibition of Weapons: Weapons are prohibited in the Student Union, including all event spaces and attached facilities with direct access such as the Special Events Center (SpEC), per Boise State University Policy #12080: Possession of Firearms/Weapons on University Owned or Controlled Premises. The Boise State Office of the General Counsel is the only University entity that will give official explanations of this policy. The University is not bound by the statements of any employee outside of the Office of the General Counsel regarding weapons policy.